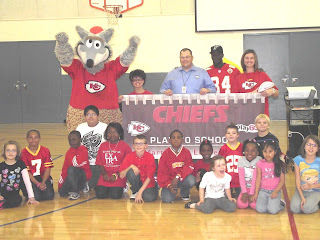 Kansas City Chiefs wide receiver Jamar Newsome (#84) stopped by Martin City K-8 last week to take part in the popular Play 60 Program at the school. 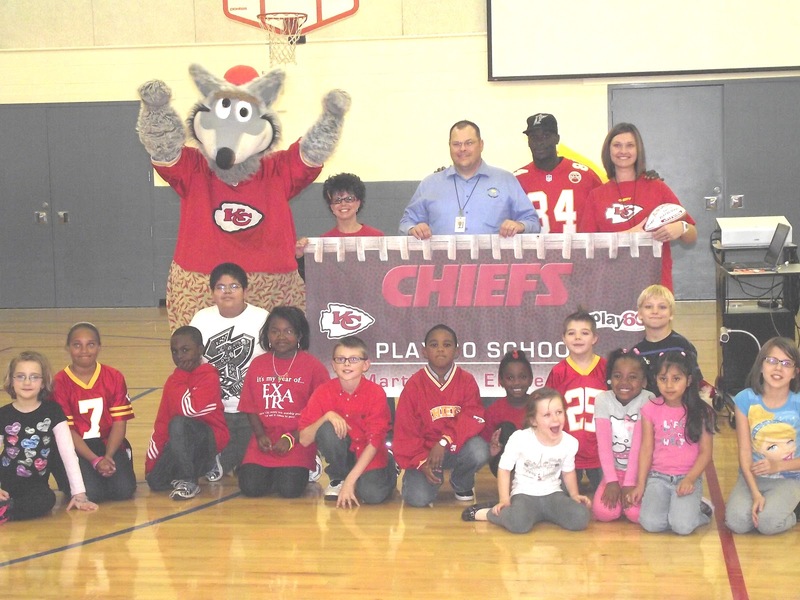 Newsome showed Martin City students how to run agility drills, and then coached selected students as they competed in lateral drills, hiking and catching practice, and even a trivia competition against Kansas City’s own KC Wolf. KC Wolf drew a raucous ovation as he entered the Martin City gym, and remained a crowd favorite after the program as he hung around to sign autographs for eager students. Newsome thanked the Martin City students for all of their hard work, and presented a Chiefs game ball to the school as a token of their great work. Newsome also earned some instant karma for his visit to Martin City, as he was activated to the Chiefs active roster and recorded a catch in last week’s 17-9 loss to the Denver Broncos.